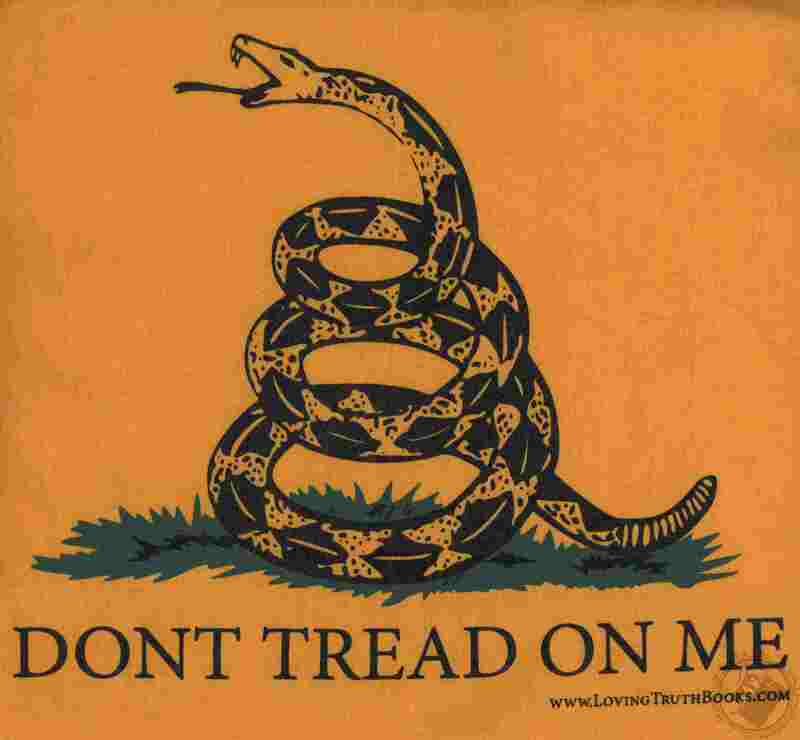 Emblazoned with the motto "Don't Tread On Me" the historic Gadsden flag's meaning is clear. 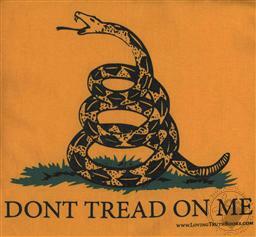 The flag was designed by and is named after American general and statesman Christopher Gadsden. It was also used by the United States Marine Corps as an early motto flag. 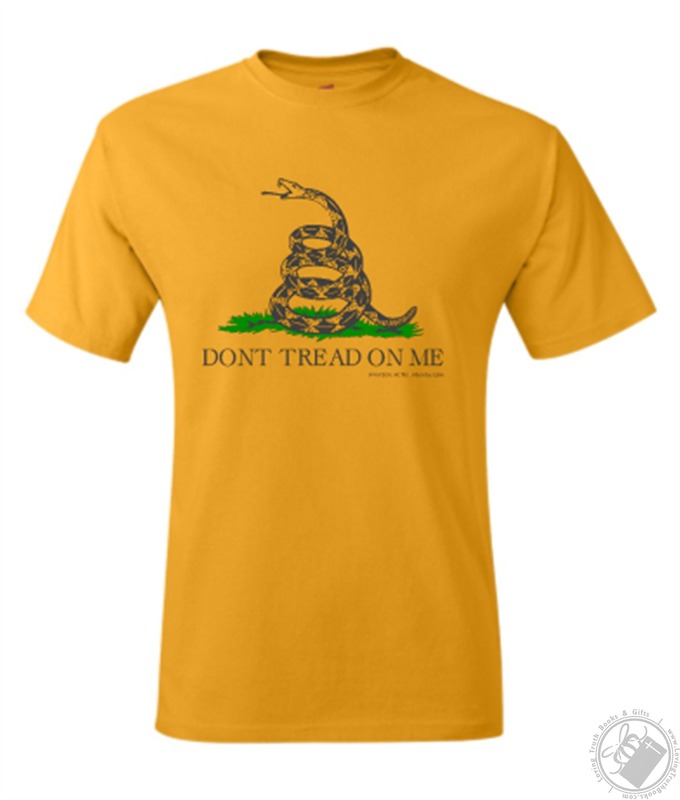 Show your patriotism when you wear this bold T-Shirt. Hanes TAGLESS 6.0 oz., pre-shrunk 100% ComfortSoft cotton Shoulder-to-shoulder taping with converstitched collar Double-needle stitched armholes and sleeves.